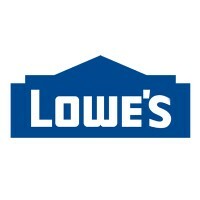 Lowe’s is an American retail company that focuses on appliances and home improvement products in Canada, Mexico, and the United States. They are considered as the second-largest hardware chain in the US and one of the Fortune 500 corporations. The company was founded in 1946 by H. Carl Buchan in North Carolina. It started as a typical hardware store that sells various products. The store grew through the years and started to open in neighboring states. Currently, the company has around 1,857 stores. They also have more than 265,000 employees. They care for their workers well, and they have been awarded as the Best Employer for Healthy Lifestyles Award in 2010. The company gives various perks to its employees. They provide paid holiday and vacation leave. They offer medical and dental insurance, short and long-term disability insurance, and life insurance. The company also provides 401 (k) savings plan and pension plan. People like working in the company not only because of the perks they have but because of the chance to learn and grow professionally. Each employee is given an opportunity to earn and bond with new acquaintances too. The company only considers applicants who are 18 years old and above. They also wish to hire those who are already familiar with the industry, but they also welcome those with little or no experience at all. CSA Front End: The CSA Front End is in charge of answering basic questions of the customers. He must provide support so customers can have an awesome shopping experience. Furthermore, he must promote loyalty plans or extended replacement plans to the customers through the cash register. 288 FT Sales Specialist Appliances: The 288 Ft Sales Specialist Appliances is considered as an expert of appliances sold by the store. He must promote appliances and at the same time, match it according to the needs of the customers. Furthermore, the Sales Specialist must be knowledgeable regarding the details of the product so he can answer questions asked of them. Delivery Driver: The Delivery Driver is in charge of delivering products from point to point. He must plan delivery activities, prepare the load, and follow the planned delivery routes. Also, he must always maintain the cleanliness and functionality of the company automobiles. Delivery Load Puller: The Delivery Load Puller is in charge of supporting the delivery activities. He must inspect and prepare merchandise during his duty. He is responsible for loading and unloading the items as well. Also, the Delivery Load Puller must have excellent customer service skills so he can aid them in locating, installing, and demonstrating appliances and store equipment upon delivery. Head Cashier: The Head Cashier is in charge of processing sales transactions of the store. He must oversee the refunds, registers, and checkouts. Finally, the Head Cashier must be able to provide quality customer service to address issues of the clients and partners. Home Décor Associate: The Home Décor Associate is responsible for assisting the customers in searching for the right home décor for their home. He must be knowledgeable in the products of the company so he can answer questions they have. Furthermore, he must always make sure that the products are presentable. Paint Associate: The Paint Associate is responsible for assisting the customers in the selection of the proper paints they need for their projects. He is also tasked with loading, unloading, and displaying of the paints. He must always maintain the cleanliness of the shelves so products will look presentable to customers. PSA: The PSA must ensure that the signage and displays of the products are updated. He must see to it that the products are stocked properly. Damaged products must be identified and removed from the displays. Also, the PSA must be an excellent worker so he can answer queries from customers regarding product information. Sales Specialist Millwork: The Sales Specialist serves as an expert in millwork. He must provide complete product information to the customers. He is expected to promote and recommend products or services to clients. The Sales Specialist must build a lasting relationship with customers so he can generate sales. Furthermore, he must be willing to work on other management duties as requested by the company. Unload Associate: The Unload Associate is responsible for ensuring the smooth flow of the unloading process in the store. He must set-up the necessary equipment and materials to facilitate proper unloading of merchandise. After receiving, he must distribute the materials to the proper departments. Finally, the unload associate must have good customer service skills so he can serve clients better. If you wish to have a job at the company, you can create your resume, submit it, and wait for your interview schedule. They pool applicants and assign them to areas with job vacancy. Interested applicants may apply by visiting the official website of the company. You can also apply by submitting your resume and application letter to the nearest Lowe’s store. If you wish to fill up the online application form, you can sign up via Facebook or LinkedIn. Make sure that you answer all items. Do not leave questions unanswered because the system may reject it. After submitting your application, wait for a call from the management. Then, if they invited you for an interview, dress appropriately and prepare to answer their questions straight to the point. The company cultivates a culture of integrity and leadership among its workers. As such, they nurture employees to give their best at work and in the community. They also train each member to engage in open communication to build a lasting relationship. Meanwhile, one newsworthy event of the company is that it is extending its support to men in uniform. They have announced that they will give a 10% discount on all personal purchases of veterans and members of the military. Indeed, the company is known for their appliances and home improvement products. Some of their popular categories are bathroom fixtures, building supplies, electrical, flooring, heating and cooling, and lighting and ceiling fans. Finally, the company supports several community activities through the help of their volunteers. For one, they help transform communities affected by disasters. They also teach people on how to go green and eco-friendly. 1 How old do you have to be to work at Lowe’s?